PyCon Russia is a two-day conference on July 3rd and 4th for experienced Python developers. It will feature talks, workshops, discussion panels, and lightning talks from some of the best Python developers in the region. 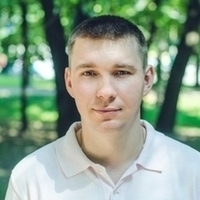 One of the speakers will be Andrii Soldatenko, a Python and Golang developer with strong hard and soft skills. He will talk about building social networks with Neo4j and Python. Many popular social media applications, such Facebook, Twitter, and Instagram, just to name a few, are based on the social graph and graph theory. In his talk, Andrii will share his knowledge and expertise about how to work with graphs and how to build a large social graph as an engine for social networks using Python and graph databases. For all questions regarding the event, please contact Andrii.